I regret that I am not able to take new patients at this time. Please check back later. Are you worried about your child, but unsure what to do? Are you concerned about your child's social skills? Is it getting harder and harder to manage your child's emotional outbursts? Does your child suffer from excessive anxieties? Are you having the same conflicts with your child, but making no progress? Is your child having difficulty completing homework or work at school? Is your family going through difficult changes, like separation, divorce or death of a family member? Are you willing to do whatever it takes to bring about the changes you want for your child and your family? 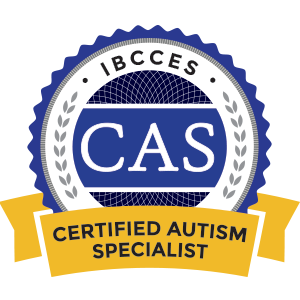 An award-winning child professional with over 25 years of experience, I help families with children who have special needs such as ADHD, Asperger's, Social (Pragmatic) Communication Disorder, and high-functioning autism. With my guidance and support, parents create win-win solutions that result in closer relationships, improved self-esteem and happier home life. The quality of the relationship you have with your family's therapist is one of the key factors that predicts a successful outcome. Please call or email for a complimentary 45-minute initial consultation to see if my services will be a good fit for you, your child, and your family. (Please note: Complimentary initial consultation is not available to those who have insurance coverage through CareFirst Blue Cross and Blue Shield. If you have such insurance you will only have to pay your co-pay or, if your policy has a deductible, your payment in full for the session will count toward meeting your deductible). Call, Email or use the form below to request a complimentary 45-minute initial consultation (Please note: Complimentary initial consultation is not available to those who have insurance coverage through CareFirst Blue Cross and Blue Shield. If you have such insurance you will only have to pay your co-pay or, if your policy has a deductible, your payment in full for the session will count toward meeting your deductible).